At WISCO – Walk In Shower Company – we want to put your safety above all else. We are here to help you make safety and ease of access in your bathroom a priority, while also designing a stylish and good looking bathroom. 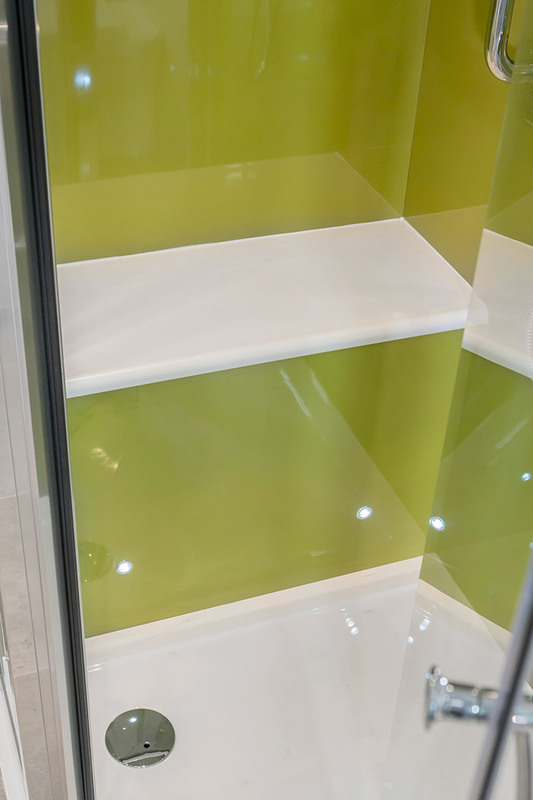 In order for us to design you a beautiful bathroom with easy access and excellent safety features, we have a wide range of accessibility solutions to help you create the perfect bathing solution in your day to day life. 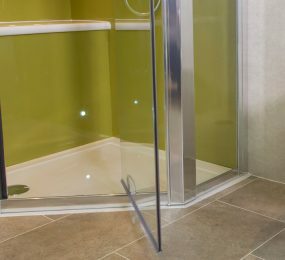 Low level access shower trays are installed so they are in line with the bathroom flooring, which can also be installed by us at WISCO – Walk In Shower Company. A low level access tray has no height difference between the tray edge and the floor. This means that there is no lip on your shower as the shower tray is at the same level as the floor. 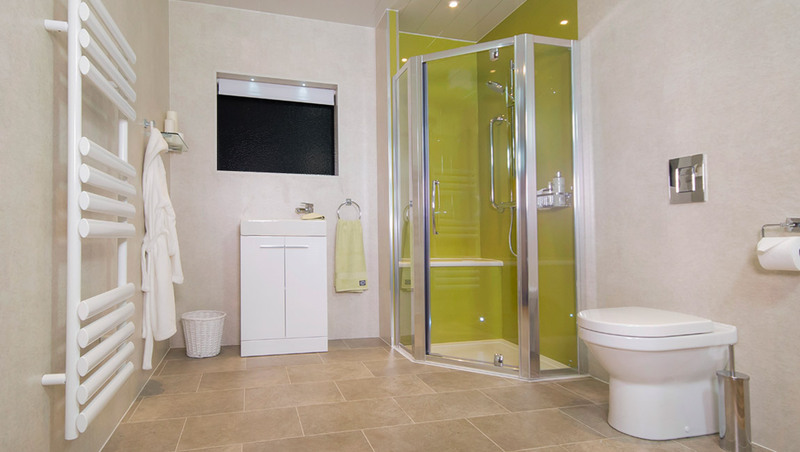 This offers an ideal solution for people with restricted mobility, or wheelchair shower users. A low level shower tray creates a perfect shower adaption to provide safety when you get in and out of the shower. 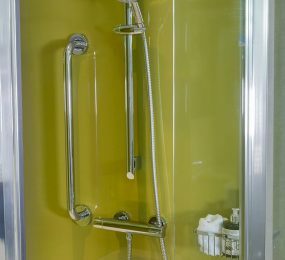 People with low level shower trays have significantly less accidents falling in the shower, and also facilitates effortless wheelchair access to the showering area, eliminating the need for troublesome ramps, which can also be difficult to clean and can gather mould. Non-slip shower trays may seem obvious as a safety feature in a bathroom, which is a place where many people have falls and injure themselves due to the slippery surfaces. 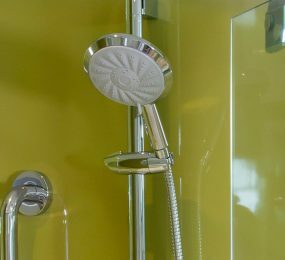 At the Walk In Shower Company, we provide a range of non-slip trays which are a really important safety feature in easy access showers. 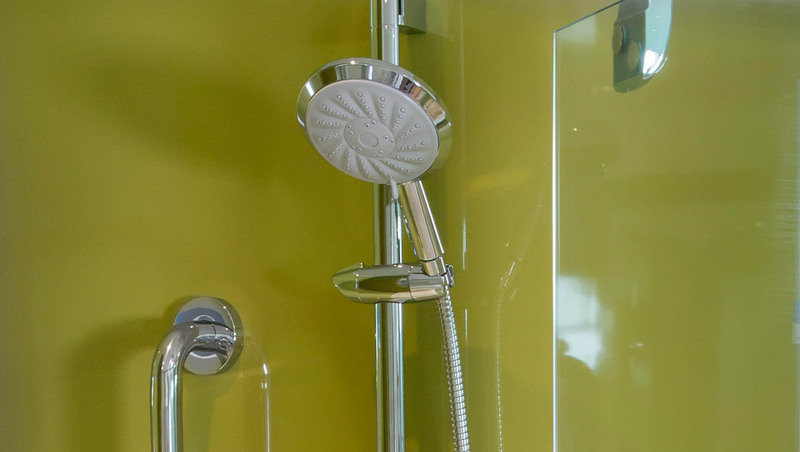 Our non-slip trays are compatible with most shower designs; give us a call or drop into our showroom to find out more about our non-slip tray solutions. At WISCO – Walk In Shower Company – we also offer a wide range of bespoke seating which can be a really important part of accessing your shower if you have limited mobility. Seating solutions make the showering process easier and more relaxing. We offer traditional seating in the form of stools or chairs which can be added to the shower, or mixed in place either to the wall of the shower or to the floor. As well as this solution, we offer our bench seating for showers, which are only available from WISCO – Walk In Shower Company – as our own bespoke design. 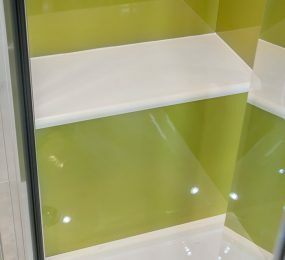 Bench seating for showers offer a modern look to an accessible solution; we can custom-fit bench seats to your shower so that the design can be altered to suit your individual needs. Our conscientious team of designers will make sure our bespoke seating perfectly suits your needs. 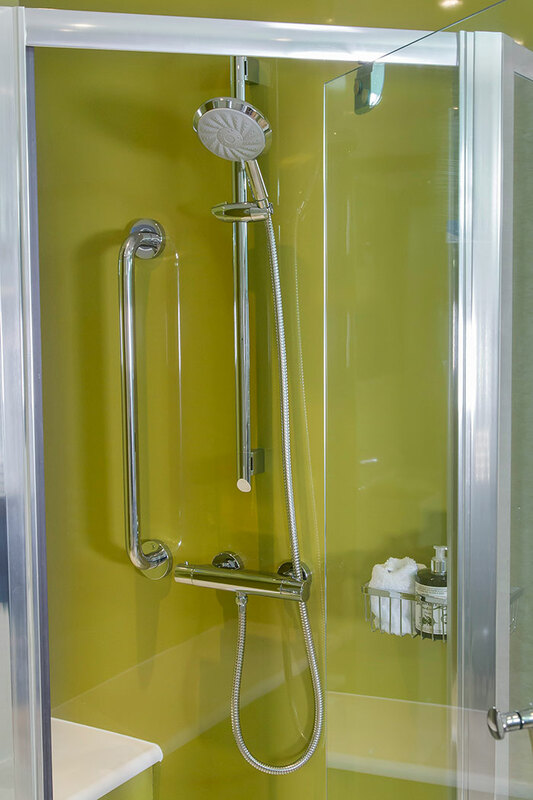 Our fully adjustable shower heads mean that your shower can be adapted for easy access from a wheelchair as well as access from a chair or standing position. Adjustable heads make your shower really adaptable for your whole family. We also offer a wide range of hand rails which offer security when getting in and out of your shower or bath and can be adapted to be placed wherever you think would help you the most in your bathroom. If you are not sure of the best place to put the hand rails in your bathroom, our friendly and experience team will be happy to help and advise where might be most helpful for you to maximise safety and accessibility. At WISCO – Walk In Shower Company – we put your safety above all else, and want you to feel comfortable and confident in your bathroom. 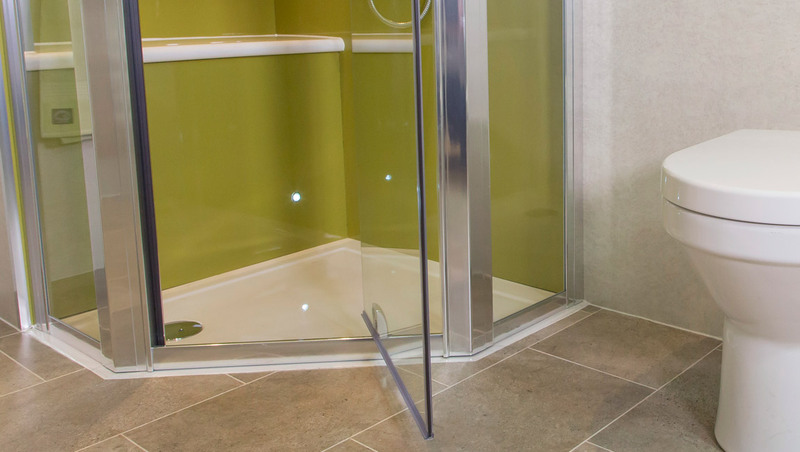 With our range of accessibility options, you can feel completely confident while getting in and out of the shower with non slip floors and hand rails to give you that little bit of extra support.